Statistics show that nearly half of all U.S. adults will start the year with a goal to improve at least one area of their life. Not surprisingly, many of the most popular resolutions center on healthy behaviors, such as losing weight and exercising more. In fact, most of Dr. Cooper’s 8 Healthy Steps make the list – stop smoking, eat healthier, drink less, etc. Dr. Cooper’s Step 4 – Take the Right Supplements for you – may not be a resolution that automatically comes to mind. However, it is a perfect place to start your quest for a healthier year. Most people don’t maintain a nutritious diet, and therefore, could benefit from taking supplements to help address nutrient inadequacies. The ease of the task and the benefit to health make it a great option for a New Year’s goal. If you aren’t currently on a supplement routine, a good place to start is with a daily multivitamin and Advanced Omega-3. A multivitamin helps provide key vitamins that may be lacking from your diet. In addition, Omega-3 is one of the most well-researched supplements on the market. Its benefits heart health, brain health and overall inflammation in the body. Omega-3 is naturally found in fatty fish such as salmon and mackerel. The American Heart Association recommends eating fatty fish at least twice a week. This amount is not common in most American’s diets, so taking Advanced Omega-3 supplements is likely necessary. 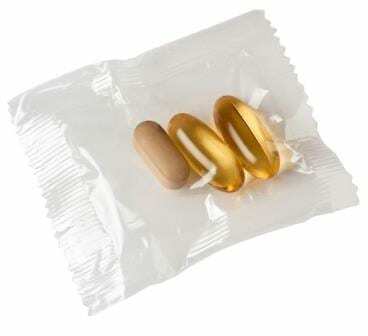 Here are some tips to help make taking your multivitamin and omega-3 a new habit that will last. Portion out your daily dose of vitamins and supplements one week at a time in a handy pill container and leave it in a prominent place as a visual reminder. Combine taking your vitamins with a daily task, such as brushing your teeth or eating breakfast. Taking your vitamins at the same time each day will help the action become a habit. Use technology to set up an electronic reminder (email or text alert) on your smartphone to remind you when it is time take your vitamin. Buy two bottles of multivitamins so you can take one to work and leave one at home. That way, if you forget to take your vitamins during your usual time they are always conveniently nearby for when you remember. Purchase Cooper Complete Healthy Body Packs (prepackaged individual servings of our one-a-day multivitamin and omega-3) to pack in your briefcase, purse or lunchbox for convenient portability. Set up a monthly auto subscription for vitamins. Keeping a steady supply of vitamins on hand ensures you will not run out and will be a gentle reminder to consistently take your supplements. You can set up an auto shipment online at coopercomplete.com, or call 888.393.2221 and we will be happy to assist you in establishing an auto shipment. On average it takes 66 days before a new behavior becomes habit. Start your resolution now and you’ll be on your way to healthier habits in no time. As always, we recommend talking with your doctor about which products would be best for you. To view all Cooper Complete products, visit coopercomplete.com.